26, the number of mass-shootings since Sandy Hook which took the lives of 20 children and 6 teachers. The FBI defines a mass-murder as the killing of four or more people without an extended period of “cooling-off” by the perpetrator. Yesterday, marked the 1 year anniversary of the Sandy Hook school massacre in Newtown, Connecticut. With that said, Congress has yet to pass universal background checks (Senate failed to pass the bill by 3 votes), assault weapons and high-capacity magazines ban, or pass a bill making gun trafficking a federal crime. 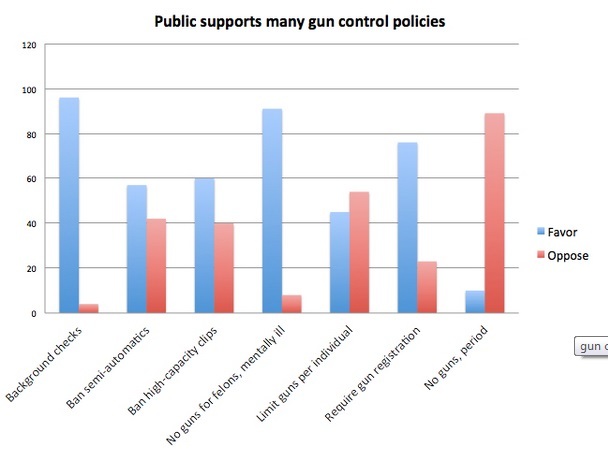 Many of these measures are supported by the vast majority of Americans and yet the NRA and the Republicans continue to filibuster and block all of the measures. While, in the U.S., about 40% of gun transfers happen without a licensed dealer, using the loopholes of online and gun shows. 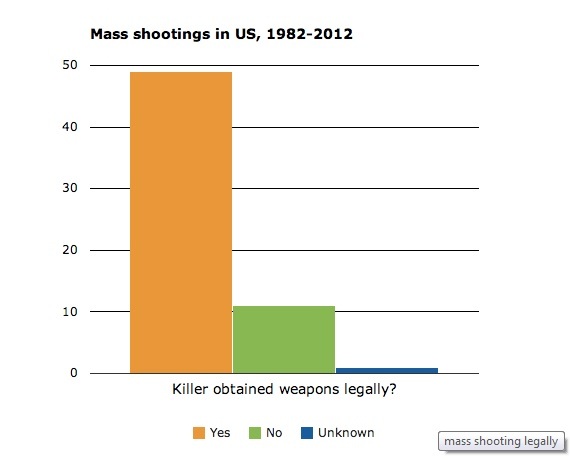 Which means about, 6.6 million guns are sold without background checks. This means that even people who are prohibited from buying a gun can do so by using these loopholes. Locally, we have seen our own school shooting at Millard South High School (where I graduated from the year before), and yet, the local Republicans refused to allow any discussion of local measures to help stop gun violence. For this local shooting, I believe a way that could have helped prevent the shooting would be adequate help for all students instead of just expelling or suspending them. Work with the students, don’t just label them and leave them for the wolves. I stand with President Obama and the families of Newtown in calling on Congress to pass gun violence prevention measures including universal background checks, assault weapons and high-capacity magazines ban, or pass a bill making gun trafficking a federal crime, and adequate mental healthcare funding. Please take a couple minutes of silence for all the victims of gun violence locally and nationally.